The PMC focuses on research, technology and knowledge transfer. Research priorities include the use of dormant seedlings to extend planting seasons, cost-effective methods of willow planting and wetland ecosystem restoration. The PMC has gathered at least 275 plot-years of information from sites around the state and developed eleven new cultivars and thirty-three natural "Selected Class" germplasms for release. 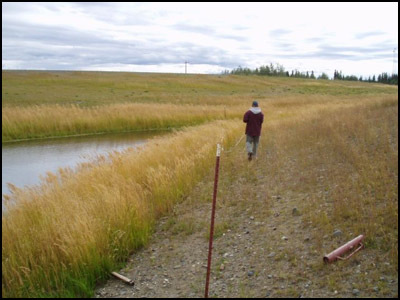 These collections, as well as the nine cultivars developed by the University of Alaska Fairbanks (UAF) and the Agriculture Research Service (ARS), are maintained at the Plant Materials Center for use in revegetation and reclamation.